I love the music of Motown; I grew up on it as it was played in our home and in the car all the time. Its artists are legendary and its songs are unforgettable. And the story of Motown itself is epic. That’s why I am utterly disappointed at the book to the musical MOTOWN. The expository way Berry Gordy presents his story does his classic catalog no favors. Most of the acting is way over the top, with some bizarre choices (like portraying Smokey Robinson as if he somewhat cognitively impaired) and I don’t blame (or envy) the actors who have some of the most wooden lines in musical theatre history to recite. I’ve never said this before and I’m likely to never say it again but this orchestra is just a little too loud. These are the kinds of songs that need to be savored, not rushed, and certainly not amplified like at a rock concert. The orchestra sounds great – really great, actually – but at times the vocals get overpowered and most of the time, that’s a shame. That’s not to say there’s not some redeeming qualities. I love some of the vocal performances especially by Jarran Muse (“Marvin Gaye”) in “What’s Going On?” and the beautiful duet, “You’re All I Need to Get By” by Ashley Tamar Davis (“Diana Ross”) and Josh Tower (“Berry Gordy”). But at times there is too much tinkering with the hits. These songs are classics – just sing them the way we remember them and all will be well. I did find myself greatly entertained by the comedic performances of swing Stephen Cerf in multiple roles. Some of the choreography is well done and well danced. Perhaps most importantly, the people around me and at intermission seemed to be having a good time, nodding and laughing with recognition of famous moments in music history. At well over two hours, I wonder how much better this show would be without the self-gratifying, ego-stroking autobiographical storyline. What could have been done with a jukebox style musical or even a tribute concert? The music is the star of this show and would be so much better if it were allowed to stand on its own. 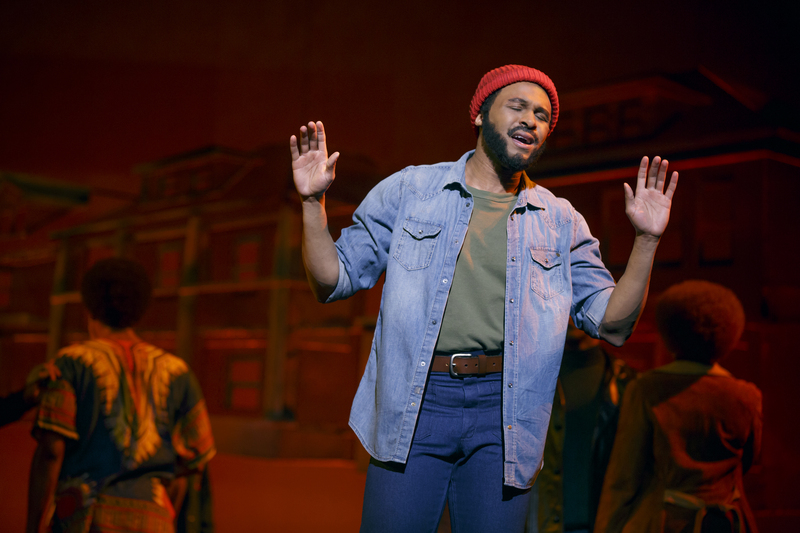 MOTOWN: THE MUSICAL runs through September 20th at the Aronoff Center in downtown Cincinnati. Tickets are available here. I may be completely off base with my take on this one so whatever you do, please read other reviews for a well-rounded opinion and if you have any interest in the music, the era, or musicals in general, pick up a ticket. I support the arts even when a show is not my cup of tea.